Whether you want to be a premiere stock analyst or not, we’ll assume that you at least want to understand stocks since you’re reading this. Whether it’s your burning desire to be a hotshot stock market analyst or you just like to be hands-on with your own portfolio, you’ve come to the right spot! Fundamental analysis is the cornerstone of investing. In fact, some would say that you aren’t really investing if you aren’t using fundamental analysis. Because the subject is so broad, however, it’s tough to know where to start. There are an endless number of Investment Strategies that are very different from each other, yet almost all use the fundamentals. The goal of this series is to provide a foundation for understanding Fundamental Analysis. It’s geared primarily at new investors who don’t know a balance sheet from an income statement. By the end of this tutorial series, you will have a solid grasp of security analysis and be able to use this to further your knowledge on the fundamentals of stock investing. 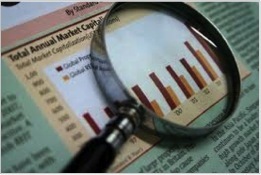 The biggest part of fundamental analysis involves delving into a company’s financial statements. Also known as quantitative analysis, this step involves looking at revenue, expenses, assets, liabilities and all the other financial aspects of the firm. Fundamental analysts look at these information to gain insights on a company’s future performance. 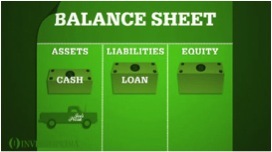 A good part of this tutorial will be spent learning about the balance sheet, income statement, and the cash flow statement and how they all fit together. But there is more than just number crunching when it comes to analyzing a company. This is where qualitative analysis comes in – the breakdown of all the intangible, difficult-to-measure aspects of a company. We’ll wrap up the PinoyInvestor Academy’s Fundamental Analysis series with an introduction on valuation so you can be well-equipped to take on even higher levels of the subject in the future. Ready? Let’s dive into things with our first section: What is fundamental analysis? In this section we are going to review the basics of fundamental analysis, examine how it can be broken down into quantitative and qualitative factors, introduce the subject of intrinsic value, and conclude with some of the downfalls of using this technique. Fundamental analysis is a technique that attempts to determine a security’s value by focusing on underlying factors that affect a company’s actual business and its future prospects. On a broader scope, you can perform fundamental analysis on industries or the economy as a whole. The term simply refers to the analysis of the economic well-being of a financial entity as opposed to its price movements only. Is the company’s revenue growing? Is management trying to “cook the books”? Of course, these are just basic questions and there are a lot more information about the company that we will learn in succeeding installments of this tutorial. In the end, it all really boils down to one question: Is the company’s stock a good investment? Think of fundamental analysis as a toolbox to help you answer this! You could define fundamental analysis as “researching, analyzing and evaluating the fundamentals of a company”, but what are these fundamentals? It can include anything related to the economic well-being of a company, including obvious items such as revenue, expenses and profit, and also include other things such as a company’s market share to the quality of its management. Qualitative – related to or based on the quality or character, often as opposed to its size or quantity. In the context of stock investing, quantitative fundamentals are numeric, measurable characteristics about the company. It’s easy to see how the biggest source of quantitative data is the financial statements. There you can see, measure and evaluate a firm’s revenue, profit, assets and more. On the other hand, qualitative fundamentals are the less tangible factors surrounding a business – things such as the quality of a company’s board members and key executives, its brand-name recognition, patents or proprietary technology. Neither qualitative nor quantitative analysis is inherently better than the other. Instead, many analysts consider qualitative factors in conjunction with the hard, quantitative factors. Take the Coca-Cola Company, for example. When examining its stock, an analyst might look at the stock’s annual dividend payout, earnings per share, P/E ratio and many other quantitative factors. 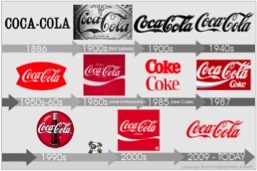 However, no analysis of Coca-Cola would be complete without taking into account its brand recognition. Anybody can start a company that sells sugar and water, but few companies on earth are recognized by billions of people. It’s tough to put your finger on exactly what the Coke brand is worth, but you can be sure that it’s an essential ingredient contributing to the company’s ongoing success. 1. The price on the stock market does not fully reflect a stock’s “real” value. After all, why would you be doing price analysis if the stock market were always correct? In financial jargon, this real value is known as the intrinsic value. For example, let’s say that a company’s stock was trading at PHP 20. After doing extensive homework on the company, you determine that it should really be priced PHP 25. In other words, you determine the intrinsic value of the firm to be PHP 25. The intrinsic value is also called the stock’s Target Price. These are the same Target Prices you see in various reports in PinoyInvestor. This is clearly relevant because an investor wants to buy stocks that are trading at prices significantly below their estimated Target Prices! 2. In the long run, the stock market will reflect the fundamentals. There is no point in buying a stock based on intrinsic value if the price never reflected that value. The thing is, nobody can predict how long “the long run” really is. It could be months or years! You don’t know if your estimate of intrinsic value is correct. You cannot be sure how long it will take for the intrinsic value to be reflected in the marketplace. The biggest criticisms of fundamental analysis come primarily from two groups: proponents of technical analysis and believers of the “efficient market hypothesis”. Technical analysis is the other major form of security analysis. We’re not going to get into too much detail on this subject as you can find a section dedicated to Technical Analysis in the PinoyInvestor Academy. Put simply, technical analysts base their investments (or, more precisely, their trades) solely on the price and volume movements of securities. Using charts and a number of other tools, they trade on momentum, not caring about the fundamentals. For technical analysts, all news about a company already is priced into a stock, and therefore a stock’s price movements give more insight than the underlying fundamental factors of the business itself. Followers of the efficient market hypothesis, however, are usually in disagreement with both fundamental and technical analysts. The efficient market hypothesis contends that it is essentially impossible to produce market-beating returns in the long run, through either fundamental or technical analysis. The rationale is that, since the market efficiently prices all stocks on an ongoing basis, any opportunities for excess returns would be almost immediately discarded by the market’s many participants, making it impossible for anyone to meaningfully outperform the market over the long term. We hope you enjoyed Part 1 of the Fundamental Analysis series and that you now know the basic foundations of Fundamental Analysis! In Part 2 of the Fundamental Analysis series, we will tackle Qualitative Factors that Fundamental Analysts consider when analyzing a stock investment decision. So read it now! And as always, you can learn here how you can use PinoyInvestor for long-term investing (Fundamental Analysis)!